Back in the mid ’90s when Tool released their album Ænima I skipped school for the morning with a mate to grab a copy of the new CD from the local record store. We arrived back on high school grounds, me now rocking the latest Tool T-shirt, a ghoul like figure with a large syringe in his mouth…, needless to say it was straight to the principals office and this Tool inspired Ducati custom is set to get itself in just as much trouble! When client Joe Evers, a Tool fan himself, sat down with Australia’s DVMC Motorcycles to plan out this build he knew he wanted something completely different from any other custom floating around and starting with his bone stock 2002 Ducati ST2 gave plenty of scope to go in any direction. 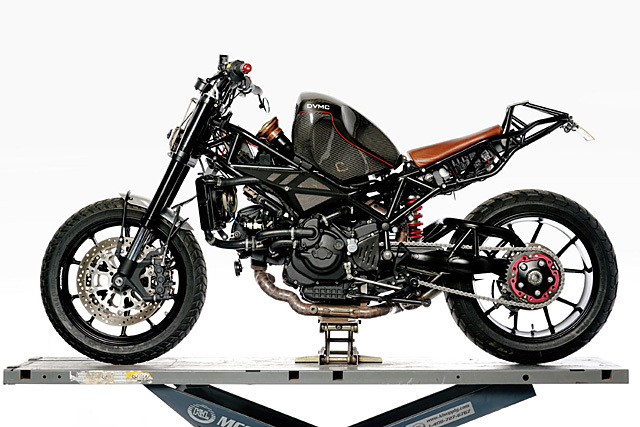 Known as Forty Six & 2 “named in reference to the Tool song with lyrics that talk about the evolutionary change in a species” this Ducati is like nothing that ever rolled out of the Bologna factory.